Welcome to Beaufort, SC. This is a pre-Revolutionary War house, located on a quiet street. Before we get started, there's one thing we have to know. The folks here are laid back, gentle, soft-spoken people. There's one thing that will really rile them up ... that's to mispronounce the name of their city. Both North Carolina and South Carolina have a Beaufort. In North Carolina, it's BO-fort. However, in South Carolina, it's BEW-fort. OK, let's start our visit to Beaufort with a walk in Old Beaufort. 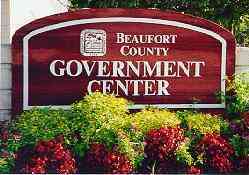 The County Courthouse and Government offices are located in a beautiful complex on the north side of the Beaufort Historical District. The seaport of Beaufort is located at the head of one of the largest natural harbors on the Atlantic coast. This is Sheldon Church Ruins and Graveyard. 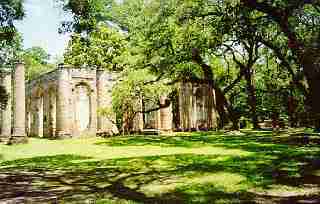 These historic ruins are all that remain of one of the South's most beautiful churches. Completed in 1748, it was burned by the British in 1780 and again by Sherman's Army in 1865. Continuing on our walk, we find ourselves in front of Penn Center, one of the nation's most historically significant African-American educational institutions. It was established early in the Civil War before emancipation. 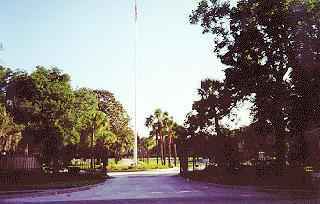 Beaufort Arsenal Museum contains many relics of nature, war and early industry. 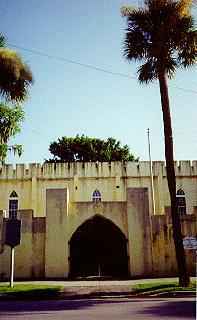 The building was constructed in 1798. 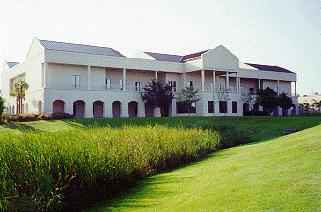 Chartered in 1795 as a preparatory school and junior college for local planters' families, the University of South Carolina at Beaufort now uses this building. 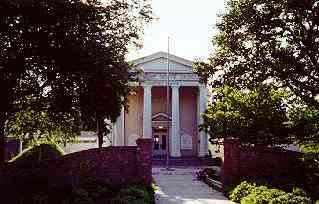 This courthouse was built in 1883 as the new Beaufort County Courthouse. 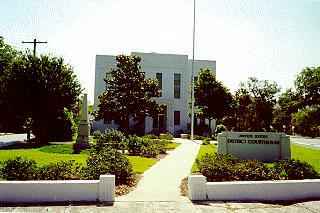 It has been remodeled several times and now serves as the Federal District Courthouse. 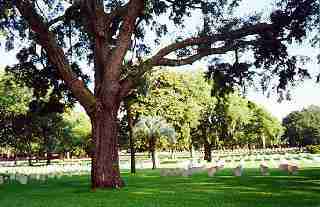 iN 1863, Abraham Lincoln established this national cemetery for the casualties of the battles in the South. 122 Confederate and 9,000 Union soldiers are buried here. John Mark Verdier House and Museum is a Federal-style house built around 1790 by a prosperous merchant. In 1825, the Marquis de Lafayette was a guest here. Lewis Reeve Sams House, circa 1852. 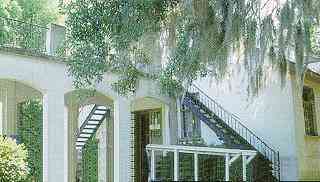 James Robert Verdier House, known as Marshlands, circa 1814. Tidalholm was built in 1853 by Edgar Fripp, a wealthy landowner. This home has been used for major motion pictures. 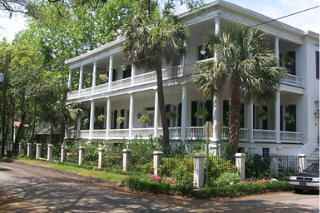 Milton Maxey House was built around 1813 and came to be known as Secession House after the first meeting in favor of secession was held here. William Elliott House was built prior to the Revolutionary War. Today it is known as Anchorage House. John Cross Tavern dates back to the early 1700's. We could spend another five days here, but we really need to move along. I think we're all very tired from the walking so let's hop in the Chevy (Chevys ??) and see where it/they take us next.